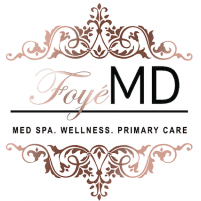 You deserve the best skin care, and that is what you will get at Foyé MD and Spa in Houston. Our premier Houston med spa offers a diverse collection of popular skin care treatments created to transform dull skin to smooth, glowing perfection. But that is not what sets us apart. 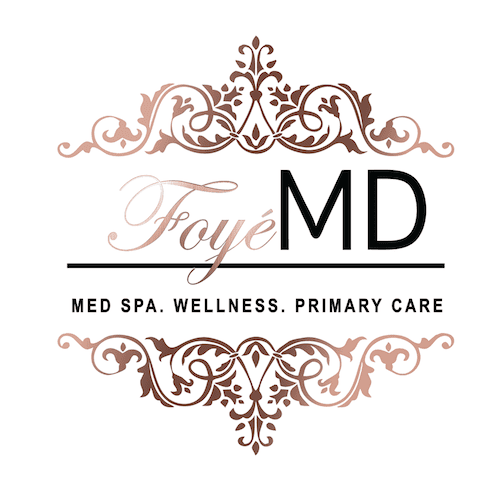 What really makes Foyé MD and Spa special is our unique approach. To us, skin is more than a canvas to beautify; it is a vital part of overall health. That is why we are very selective about the skin care solutions we offer. Schedule a complimentary consultation with our office today to find the perfect treatment for your unique skin care needs. If you are looking for an instant pick me up, a chemical peel can improve the texture and tone of your skin, fast. Peels are treatment involving a safe acid solution used for eliminating damaged outer layers of the skin. They are effective for facial blemishes, uneven pigmentation, and wrinkles! Once you undergo any peel, the treated layers of skin will slowly flake off, to reveal a new layer of fresh skin. Foyé MD and Spa peels will give you a spotless complexion with a porcelain finish. Cleanse, refresh and rejuvenate! A facial is a multi-step treatment carefully customized per your skin type and needs. It is one of the best treatments you can choose to do for the maintenance of beautiful, youthful skin. Put your best face forward with a breathtaking facial treatment by one of our skilled specialists! Hydro facials come with the option of adding boosters to reduce the signs of aging, dark spots and sun damage to brighten tone and restore skin health. Another type of facial we’re happy to offer is IPL photo-facial therapy, using the pulsed light system used to stimulate collagen. We also offer facials with ICON, another revolutionary way to stimulate the skin and promote rejuvenation. Say goodbye to dead skin, dirt and oil, and hello to smooth, soft, touchable skin. Women with fine lines, clogged pores, or uneven pigmentation benefit the most from a series of these treatments. It provides different results from chemical peels, but are great for eliminating whiteheads and balancing pigmentation. Microdermabrasion in Houston provides optimal exfoliation, clearing clogged pores and dead cell gently to revive your youthful complexion. This is a perfect first step to prepare skin for a peel or other restorative facial treatment. Lately platelet-rich plasma therapy is all the rage, and for a good reason. Also known as “Vampire therapy,” PRP is a natural procedure aimed at stimulating collagen regrowth to tighten the targeted skin and regain a youthful glow. Skin takes 1-2 days to full adjust and reduce swelling after receiving PRP therapy. We use all-natural platelet-rich fibrin therapy to treat acne scars and to rejuvenate skin. We offer both the Vampire Facial™ procedure and the Vampire Facelift™ procedure. ICON is a form of advanced technology that uses fractional and skin resurfacing in addition to collagen stimulation to eliminate wrinkles, stretchmarks, scarring, and more, resulting in fully rejuvenated skin. After just one appointment, clients see improvements in their skin’s appearance. Reduce and eliminate stubborn stretchmarks with our comprehensive stretchmark reduction therapy, which involves stimulating collagen production with treatments such as fractional and skin resurfacing. Part of your aftercare routine should include the proper sun protection, keeping your skin hydrated, avoiding sudden weight gains or losses, and generally following a healthy lifestyle. Though the treatment is effective and provides quick results, it is important to maintain healthy habits after the procedure. Through microneedling, we can rejuvenate the skin and reduce fine lines and wrinkles, while minimizing pore size. This treatment is also used to improve acne scarring, skin texture, brown marks, and any other pigment issues. It is usually performed in a series of different sessions, so the needle may target deeper layers at each subsequent session. If you have sensitive skin, you should have a consultation before.